Held every year during the whole month of October, leads up to the famous "Warwick Rodeo" on the last full weekend each October. Camping site for visitors and graded walking tracks lead to interesting formations such as the Eye of the Needle, the Sphinx, the Brothers and the Aztec Temple. 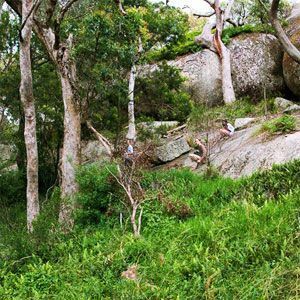 Graded walking tracks lead to a lookout at the top of the 42 metre waterfall and also to the rocky pool at the base. Provides the facilities for water sports in the Stanthorpe district. There are also fine picnicking spots. Enclosing the Red Rock Gorge and Severn River Falls is an area of rugged natural beauty. Ideal for the more experienced bushwalks. Basic camping facilities at the western end of the Park. 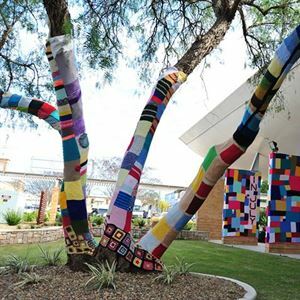 The Stanthorpe Regional Art Gallery is located in the centre of town and presents a variety of exhibitions, houses a permanent collection & also features an interesting art gallery library.